I'm trying to diagnose seg faults on Ubuntu Linux 14.04 and have been fumbling around with "address sanitizer":http://code.google.com/p/address-sanitizer/ trying to get it to work. I have had no luck. I have a manual compiler definition that I cloned from the Auto-detected GCC (x86 64bit) compiler with -fsanitize=address -fno-omit-frame-pointer for my 'Platform codegen flags:' and -fsanitize=address for my 'Platform linker flags:". This is the compiler that my selected kit is using. I am running in debug mode. I have also added CONFIG+=address_sanitizer to qmake's "Additional arguments" field in the Build steps for the Qt 5.3.0Gcc 64-bit kit. "Update: Apparently a stock gcc 4.8.0 has still issues with address-sanitizer: libasan isn’t linked automatically, an internal compiler error in qtbase … I’m personally using a gcc from 4.8 branch." I get no output even when I trigger my segmentation fault. Am I enabling it incorrectly? Do I have to build my own Qt/Qt Creator to use this? It looks like this should work with GCC (what I'm trying to do), but would it be easier to use clang? 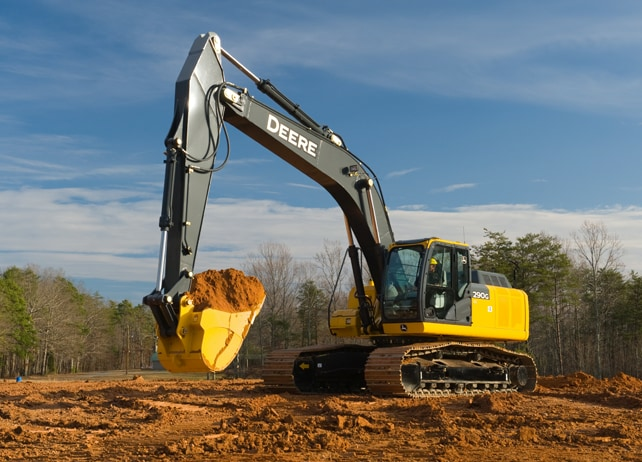 Should I quit my job and go find a new one "driving an excavator":http://www.deere.com/common/media/images/product/excavators/290g_lc/JD_r4d014102_Excavator.png? If you want to test the patch, just use the copy to clipboard button to the right of the download line and paste in a terminal in your own clone of qtbase then rebuild. [quote author="SGaist" date="1404249124"]Hi and welcome to devnet,[/quote] Thank you. Run the patch script that I've copied from that page in a terminal window in the newly Git-ed qtbase directory. "Build Qt 5":http://qt-project.org/doc/qt-5/build-sources.html with that patch applied. Point Qt Creator to this local build of Qt 5 somehow? Run application in debug mode and enjoy sanitizer spew with all our memory management mistakes. If you are going to play with the sources several time, you should rather follow the Build Qt from Git guide. Thank you... this worked. Unfortunately, the output wasn't that helpful... the excavator is sounding better and better. Did you try Valgrind ? I did, and I am getting some helpful output. Previously, I wasn't having any luck with it, but I have screwed with my implementation since then. Thanks again for the help!